Many authors check their Amazon reviews obsessively–or at least regularly. Unfortunately, there’s no simple way to subscribe to book reviews, not even with über-cool site IFTTT. You have to manually check them. Now, you might not care about book reviews. On the other hand, a flattering review just plain feels good. Conversely, a scathing and inappropriate review by a troll arguably deserves an immediate response. In the past, I’ve enlisted the help of my Facebook friends to comment on a completely unjustifiable “review” by a PITA disgruntled client who never even bought the very text she slammed. Would you benefit from real-time updates on your reviews? I’m working with a few people on the potential development of a simple service: E-mail subscriptions to Amazon book reviews. I for one would pay a reasonable amount of money for this. If 50 or more people sign up, then we can begin development of an MVP. I’m thinking that daily/weekly digests or real-time updates via e-mail make the most sense. If you’re interested in updates on this, please fill out the form below. Your information won’t be shared with anyone. 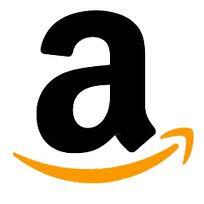 < How Many Amazon Reviews Do You Need?